In an article for the Times, a former Marine criticized a “choose your own adventure” children’s book set in Afghanistan. A week later, the book’s publisher wrote to him with an apology. Earlier this month, Zachary Bell, a former Marine rifleman and infantry squad leader, received an unsolicited email from the head of Capstone, a publisher of children’s books in Minnesota. The New York Times Magazine had just published Bell’s first article for the At War channel, in which he had detailed his reaction this summer to observing his two daughters, ages 8 and 10, reading “War in Afghanistan: An Interactive Modern History Adventure,” a book in Capstone’s You Choose series. The book included a chapter on an operation in 2010 in Marjah, a Taliban stronghold in Helmand Province, in which Bell participated. 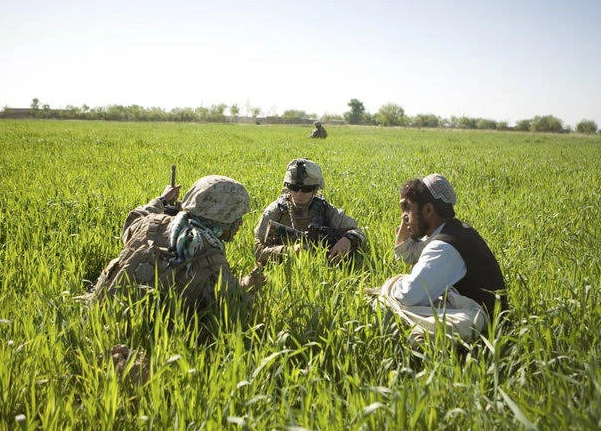 He watched and listened as they confronted the text’s notional choices, including how to navigate the perilous landscape and whether to fire upon Afghan men who might be snipers — at risk of committing a war crime.